I was recommended to speak to Pure O2 and they did not disappoint. Their advice was both knowledgable and objective and I am very satisfied with the Inogen One G3 that I bought. 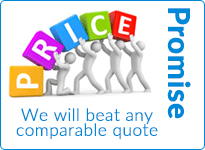 Their prices are competitive and service excellent. Sarah, Thank you for your efficient, professional, patient and helpful attitude throughout the sales process. Please feel free to forward this to your manager – although she probably knows already that she has a gem! I just want to say ‘Thank you’ for all your help with organising a concentrator for my mum. I know things were very last minute with the airline (Air Mauritius). Having the concentrator really helped my mum as she has found her confidence to travel again. So thank you again for that. The PF Trust is extremely grateful for the excellent and professional service provided by Pure02. It is a dreadful illness to deal with, but having your marvellous support helps to make things so much easier for us. I would like to officially and personally thank you Paul and Judith for the wonderful support you have given us. Thank you very much for being so great at being my advocate in organising it all for me Sarah. Having to organise oxygen for a holiday isn’t ideal for anyone and definitely can take away from what should be a highlight in the calendar in so many ways. Therefore having someone like you Sarah, organising it all on our behalf goes a long way to help and appease any stress. It’s been a pleasure having you help me and dealing with you in this capacity. You have been most helpful in arranging the oxygen that my lovely Ma needs. I feel confident now for future trips for her, knowing help is but a phone call away. Thanks again for taking the time and trouble for calming our minds, knowing she will be adequately aided with breathing whilst we are away celebrating her 70th. Thank you Pure 02 for all your help over the past few months. It was a pleasure to deal with your company and you in particular, Sarah. You have proved to be an excellent representative. May I conclude by thanking you for your professional help throughout the whole process from beginning to end. Thank you Pure 02 and Paul so much for your help and advice and for making this process and decision so easy, I really do appreciate how helpful, efficient and friendly you have been. Appreciation to All at Pure 02 – Rented an Air-Sep Freestyle for my UK holiday – excellent service from Pure O² from start to finish – thanks for helping me make the most of my holiday. Thanks very much Paul, absolutely we had an great time over there and the machine works very very well, it’s so handy for my husband and very comfortable. We’re looking forward to using you on our next trip. As a pulmonary fibrosis sufferer I am very pleased with the inogen one G3 concentrator. It really has made such a difference to my every day life – thank you so much for your very good and efficient service! Keep up the good work. Having to organise oxygen for a holiday isn’t ideal for anyone and definitely can take away from what should be a highlight in the calendar in so many ways. Therefore having someone like you organising it all on our behalf goes a long way to help and appease any stress. It’s been a pleasure having you help me and dealing with you in this capacity. Pure 02 is the most vital, life enhancing, needed element in ones life. since using the freestyle oxygen concentrator my quality of life has improved and is enhanced- literally a new lease of life: I sleep better, have more energy, am more enabled, can think clearer- I never realised how sleep apnea and breathing problems robbed me of life. I completely recommend the use of pure o2 products -oxygen is an essential in life. I thank the staff for their clear, concise advice on suitable machines, prompt effective service, consideration -including adding in some extra filters as a freebie realising I would need them- I was provided everything I required as a full kit. When I needed to replace a charger, the emergency crisis was handled warmly, effectively and in under 24 hours, furthermore, the advice and service I received was EXACTLY tailored to my needs given the individual circumstances – I was sold (italic) only (/italic) what I actually needed and not to make a sale but to fulfil my needs as a potential client. I believe many more people need oxygen machines to enhance their lives and like me, did not realise how much they were missing by not getting enough air – it has improved my outlook, helped concentration, rest and activity, and where pain held me back, better oxygenation has helped pain management; I am no longer a prisoner in my disabilities literally rejuvenating my life; turning the clock back on the severity of symptoms and breathing difficulties “if you cant breathe well, you cant do anything. with freestyle I have a lifestyle I can go anywhere with – fully portable, even suitable for aircraft, my horizon no longer ends out of breath at the boundary of my garden gate. Not even asthma inhalers made a dent in the breathing problems; freestyle has literally redefined my lifestyle for the better. thank you Pure O2!!! the professionalism encountered has raised the expectations bar of customer care standards for all other enterprises and no one else comes close. Sarah, You are an angel! Thank you. Connector received with thanks. What a fantastic service! Keep well. As a COPD sufferer of very long standing I must say, I am very, very pleased with your service, promptness of supply and quality of the apparatus G3. Your aftercare is second to NONE!! I cannot praise you enough. I write to put on record my deep appreciation of the advice and care provided to me by Richard on a number of occasions. When I have sought advice over the purchase of equipment I have found Richard’s professional experience invaluable in deciding which equipment to buy, how to use it most effectively and how to care for it. I have also gained important incidental advice from Richard about the management of my condition of IPF. Paul has always been endlessly patient, sympathetic and above all positive, practical and of course expert in his response. I always feel confident that when I speak to him I will be at least reassured and usually guided to a solution to my problem. Paul is more than a technician. He is an ambassador for Pure O2 who embodies the excellent, expert and caring service for which I am sure you wish Pure O2 to be recognised. After problems caused by the carrier the people at the end of the phone at O2 gave me a standard of service and attention that I haven’t experienced for 40 years. Genuine helpfulness and care. Staff couldn’t do enough to solve my problems. With thanks. J M Stones. Airsep Visionaire. All aspects carefully explained and no pressure at any stage! Excellent to deal with! Ordered Monday lunchtime, arrived here in Southern Spain Tuesday evening – Exceptional. N J Perrott. Airsep Focus. From the first contact, I have been very impressed with the service I have received and finding the Airsep Freestyle helpful with my symptoms being C.O.P.D., the oxygen treatment is making life more tolerable . I would like to thank Mr Paul Stoops and Adele for all their kind help. Kenneth Stephen Thorne. Airsep Freestyle. Very understanding and helpful, the advice was excellent. Couldn’t wish for more. J F Smith. Airsep Freestyle. Just very professional – gave a real sense of understanding and care for the intended user – excellent service. Mr Raymond Rivron. Airsep Focus. Communications excellent. Staff courteous. Goods supplied first class. I commend all involved in providing this service. J J Flannery. Airsep Focus. Absolutely 1st class service from Day 1 regarding initial enquiry about rental of equipment for holiday, delivery and pick-up arrangement. Everything spot on. Well Done O2. The service I received was second to none. I found everyone extremely helpful and I am extremely satisfied with my machine. I would certainly recommend your Company to others. I have indicated my satisfaction to the PHA and hopefully they will recommend you to others. I would not wish to single out any specific member of staff at Pure O2 for praise as I found everyone from my original enquiry, right through to purchase of my Airsep Freestyle to be extremely informative and helpful. My Freestyle allows me to continue to be active including driving for as long as possible. Thank you. Superb service from first initial enquiry and up to today. From our first contact with Pure 02 we found them to be very courteous and fully understanding of the problems faced by people with breathing problems. As we had more conversations, the compassion came through loud and strong. At no time were we put under pressure to make decisions and it did not matter how many times you went back with a question. Once we had made the decision to purchase the SeQual Eclipse, everything went very smoothly. We were kept informed at all times about the progress and on the morning that the couriers were to delivery, Pure O2 called to ensure that it had arrived. We then had further contact to ensure everything was working well. Congratulations to a great team. You deserve to do well. Very good service. Paul Stoops was very helpful and nothing was too much trouble. Would use and recommend your firm again. Thank you. After problems caused by courier the people at the end of the phone at O2 gave me a standard of service and attention that I haven’t experienced for 40 years. Genuine helpfulness and care! I thought the help and knowledge was terrific, many thanks to the team including Richard, Adele and Paul. Everyone that I spoke with at your company was extremely helpful, very kind and went out of their way to make our rental experience successful. This occured from the first call when I was advised that there were no rentals available, but when Paul Stoops called me and arranged for my husband to be supplied with the Sequal Eclipse which helped him immensely! I would have no hesitation to recommend your company to anyone who needs this type of medical assistance, and should we ever come back to the UK I would definately be in touch. We have spoken to several “Medical” companies in the past and information has been minimal. Pure O2 have surpassed them all with knowledge about equipment, the best buys and their helpful advice. I don’t normally take the time to write appraisels but in this case I am full of prasie for Pure O2. All the staff we have dealt with has been polite, helpful and friendly. I was able to go to my Spanish holiday because of your machine. I have not been able to travel away before, magic than you and hope to go away soon. Your customer service was outstanding! You are not moved from extension to extension when holding me on a telephone call. Lately I have dealt with Judy and she is very good over the telephone. I have absolutely no complaints about the service or the machine I have. I addition I found when dealing with Pure O2 you give prompt attention, clear explanations of queries and no rushing me over telephone calls. Pure O2 performed excellent when dealing with me. In 2010, I was on holiday in Cyprus for 2 weeks and my machine began to overheat. After contacing Pure O2 by phone, they immeddiately flew a repalcement out to me. It arrived the next day in time for my flight home, for which I was most grateful. I have dealt with Pure O2 personnally and by phone since 2008 and am a very satisfied customer. The team is always very helpful over the phone. Pure O2 have helped us through the pruchasing and servicing process. Infomative and generious of their time; O2 has a great customer service (espically from Richard). I look forward to dealing with them again in teh future. Excellent professional service with a touch of humility. The service provided by both the sales and technical support personnel from Pure O2 has been excellent. All enquiries were clarified and resolved in a professional and proactive manner. Minor technical concerns which were experienced in Spain over the weekend were responded to and resolved with in 20 minutes of my telephone call. Very impressive! A very big thank you to all at Pure O2, very friendly knowledgeable and helpful. Most impressed with your services, will definately use you again! And will recommend to others as well. Mum has had one lung removed and has chronic asthma / lung disease. These machines gave her freedom to be mobile and we are looking into buying. Both machines were convenient + easy to use. The only thing I can say is; why didn’t I dsicover your company sooner!! 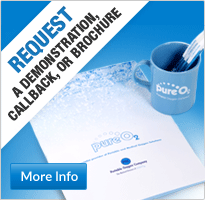 I can highly recommend Pure O2 Ltd. The service I received was beyond expectations. I dealt with Paul Stoops and ordered my Airsep Freestyle on Monday at approx 4pm to be sent to my holiday home in Spain. It was with me 3pm next day. How is that for service.. I would just like to thank all the staff at Pure O2 especially Adele and Paul whom I dealt with. I cannot praise them enough, it’s the best company I have ever dealt with and I have been in business many years. The support and efficiency of all their staff is first class. They were on hand to give support for every question that was asked and their kindness was outstanding. I have purchased the Sequal and the Airsep from them and I know with confidence that they will always be on hand should I need their assistance, 24/7. Pure O2 are very mindful to the individual needs of our children, good advice, always go out of their way to help us and our families we deal with. Their customer service is outstanding. I contracted with Pure O2 Ltd to provide oxygen to be bled into my BiPAP machine while I was visiting the UK. I found them to be very helpful and concerned to be sure that I got the equipment and service I needed. They delivered the equipment on time and as ordered and made arrangements for it to be returned to their offices when I left the country. 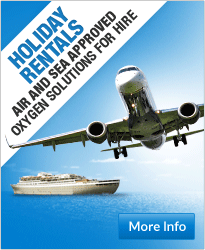 I would definitely use Pure O2 Ltd again on my next trip. Just a word to say thanks a million for a trouble-less transaction in buying the AIR SEP it arrived here at approx 11.30 this morning. Wife is so pleased with it she says she is going out this afternoon for some retail therapy, now I am beginning to wonder if it was such a good idea that she should have so much freedom again .All joking aside I wish to thank all your staff for been so helpful and to thank you for the efficient way you run your business. I much appreciate all you have done and the time and interest shown by you with this transaction, many thanks. Dear Pure O2 and Team. Just a quick note to thank you for the speedy attention to my problem with my unit. It was returned safely yesterday and in pristine condition. Your generous manner with the final account reflects well on your company ethics and is to be applauded. Wishing Pure 02 a successful 2012. I used one of you portable oxygen concentrators in Easter for my holiday to Florida, and I would like to say how amazing the concentrator was for me. It worked really well, very quiet and easy to transport. Amongst many matters, I was also most favourably impressed by quite obvious attitudes of genuine concern and consideration shown to the potential customer as well as the professional advice and information clearly and efficiently given or sent both in relation to particular equipment possibly to be purchased, as indeed quite generally. Most impressed with your Company. Judith went the extra mile to be helpful! We so appreciate the very friendly and helpful service that you supply – well done. From the first contact onwards we have been extremely impressed with the service we have received, and are finding the Airsep Freestyle very helpful with some of the symptoms of our condition. We both have ME/CFS with differing symptoms, but the oxygen treatment is certainly making life more tolerable and easier for us. Very happy with the service received in Spain when machine broke down. ALL your staff were understanding, helpful and very friendly. Start to finish, first class Company. You were recommended by a friend, however, I did check with several firms and yours came out tops by a mile – Thank you. Excellent service! You were very helpful, informative and friendly. Very much appreciated your service. Hope to come back to you next year when mother visits again! The service you provided was faultless. Can highly recommend you, Great service, Staff very helpful and knowledgeable, Will use again. Excellent and caring service – Thank You. The representative was very good, very supportive. He told me exactly when the machine was going to arrive and it did. One of his colleagues called me after the sale to make sure all was well. It was excellent service all in all. Everything was fantastic. The representative was so helpful. I have got my life back again. I can go out with my friends, I am very happy! Very good, very quick and efficient, considering the machine came from Manchester to Gibraltar. The service was as good as it could have been. The representative was ever so accommodating, very efficient, very personable, a lovely chap. He was very understanding. Everything was clear and straight forward. It all went very smoothly. Excellent service! The representative went out of his way to explain everything. Pure O2 is a very competent company. Pure O2 did exactly what they said they would do! Since having the Eclipse Portable Oxygen Concentrator I have had two weekends away. I am very pleased. It is so convenient and easy to use and it has given me so much freedom. It’s great! The representative was very informative. The response was quick. There was a hassle free service and the delivery was very quick too. The representative answered all the relevant questions. It was an excellent service! We will definitely order from Pure O2 in the future. We were very happy with the service that we received. First class service. So glad that I bought the machine. I am delighted. I’ve got so much freedom! Thank you very much for a great product. It does what is says and has given me a new found freedom and courage to venture outside again. I would recommend you and your products to anyone! The machine is a joy to have. It really is to my wife’s benefit. Thank you! It has changed my life completely and I was given great service when buying the machine. The service was brilliant from the time the representative came down to see me to receiving the machine. It has made a big difference to my life. It’s so much easier than carrying cylinders around all the time. I’m very happy! Everything is absolutely fine. The rep was brilliant. The machine is really easy to use and we are really pleased with it. It means that my husband can get out a lot more. You responded to my request very quickly. I have used the machine for going for exercise, which is great! The representative’s service was very good. The service overall was fantastic! My Respiratory Nurse told me that by using the machine three times on holiday abroad, it will pay for itself. It will also save me money every time I go away. I didn’t realise this! The representative was excellent and it was the same when I called. I was given all the details that I required, very accurately. Everything is perfect! It is more efficient than I ever thought it would be. 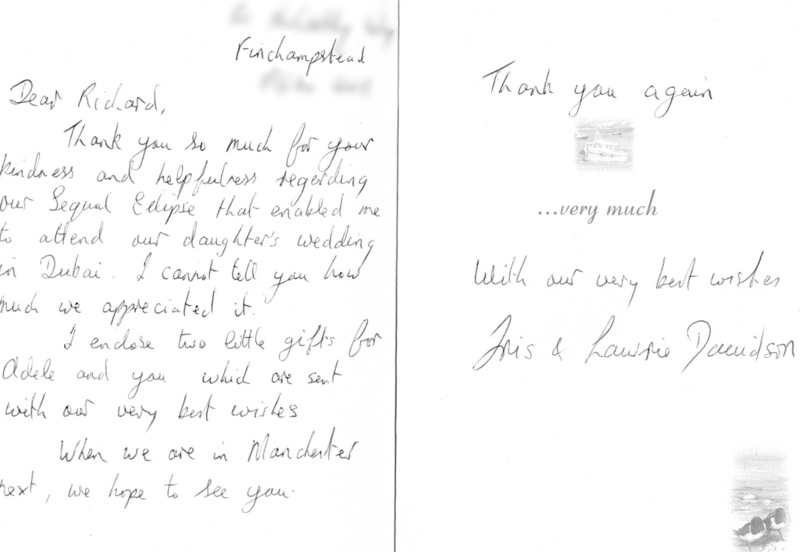 There was a very friendly atmosphere when the rep came to see me and excellent service. I am more than happy with everything. It’s a wonderful machine! It arrived on time and I am very pleased with everything. The representative was very helpful. He showed us how to use the machine. Delivery was excellent. I am very pleased. The machine has opened up a new lease of life for me. I can go anywhere in the world now. I thought that I would be housebound but as I said, it has given me a new lease of life. I would like to thank you for your excellent customer care. I had a call from your competitor in the south, making all sorts of claims about how they were better than yourselves. Well, the proof was in the pudding etc, very well done! My wife is getting along very well with the Freestyle and we are sure it solves our problems whilst travelling. It is so refreshing to find good customer service in whatever field but particularly in the area of healthcare. Once again, many thanks. I bought the machine for home use and for flying which is great as it is compact to take on the plane. It’s great that we have been offered a device that is able to do this. Just to let you know that the concentrator which you kindly arranged to be couriered down from Manchester arrived safely. This e-mail is to thank you for your speedy and effective response to the problem and to thank you and Adele for all your help and courtesy. We are most grateful. I would like to thank you for the professionalism you have shown towards all my enquiries. Pure O2 supply our Hospice with Medical Oxygen Concentrators. They are extremely competent and their level of customer service exceeds our expectations. I bought the oxygen generator on behalf of my Father, who suffers with an asbestos related illness. All I can say is delivery of the unit was excellent, three days from receipt of order, the unit itself runs smooth and quiet, and I believe he uses it for two fifteen minute spells per day at present, after which he says he feels a lot better. I have suffered from Lupus for many years. The condition has left me in a wheel chair and I suffer with a lot of pain. I tried oxygen at an event run by PureO2 and for the first time in a long time I felt a lot brighter in myself. The usual excruciating pain I feel all over my body was alleviated for a good 2 to 3 hours. The burning sensations I feel in my muscles disappeared. I truly believe in the oxygen I used! The oxygen has been a little miracle in helping my mother’s recovery! I am most grateful to you for the excellent service you provide, together with instant advice when it is needed. An example was your superb help when my mother’s O-Box broke down, and was replaced and the old one collected the day after my call to you. It is marvellous to have someone who actually returns telephone calls promptly, with practical and sensible help. Please thank all your staff for their politeness and prompt attention, and for the support you yourself provided for me during a very stressful time – you can’t ask for more! Thank you for the prompt delivery of the Oxygen Generator, which I received before Christmas. I am well pleased with it and will be taken this unit on holiday to leave at my house in Tenerife and may well on my return order another unit for home here. The Air Purifier which I have had running for the last two months has been great. The air in the room so fresh and I am amazed at how quiet the machine is. The technical help given by you before purchase and after has been first class and your delivery promises on time. Thank you for your prompt service and advice. The O-Box looks great! I will be back in touch to use your services again. Just a wee note to say thank you for all of your help in getting my mother on holiday. We cannot say thank you enough and will spread the word if anyone else needs your service. I shall be telling Prof Nicholls to keep your number for future patients wishing to travel.